At the recent convention of International Hydropower Association on May 19, journalistslearned that China’s installed hydropower capacity reached 300 million kilowatt(kw) in2014, ranking No.1 in the world, and represented one quarter of total world hydropwercapacity.As the plan for developing renewable energy is proceeding well, installedhydropower capacity will reach 420 million kw by 2020. According to Renewables 2014 Global Status Report, renewable energy made up 22.1percent of global electricity use in 2013, to which hydroelectricity contributed 85 percentby providing 16 percent of the renewable electricity used by the world. 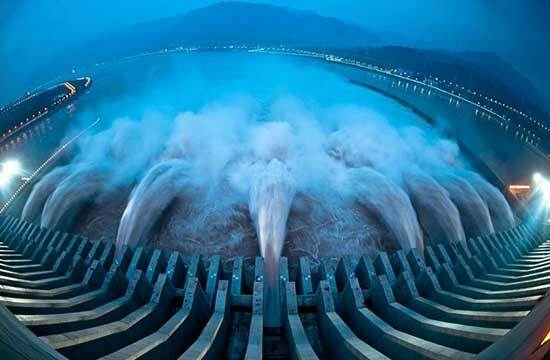 China water powerresources research revealed that China has an installed hydropower capacity of 694million kw, representing one-sixth of world capacity, of which 542 million kw is fortechnical development capacity and 402 million kw for economic capacity. As yet Chinahas exploited only 50 percent of its hydropower resources, there is still plenty left toexplore. With the construction of projects like Three Gorges, Xiangjiaba, and Xiluodu hydroelectricstations, China’s hydropower equipment manufacture industry has taken its place in thefront ranks of the world. In recent years, these hydropower industries have also startedlong-term cooperation with more than 80 other countries around the world.